Sited on 90 majestic acres with 270 degree views of the Hudson River West Point and the New York City skyline this 10 000 sq.ft. 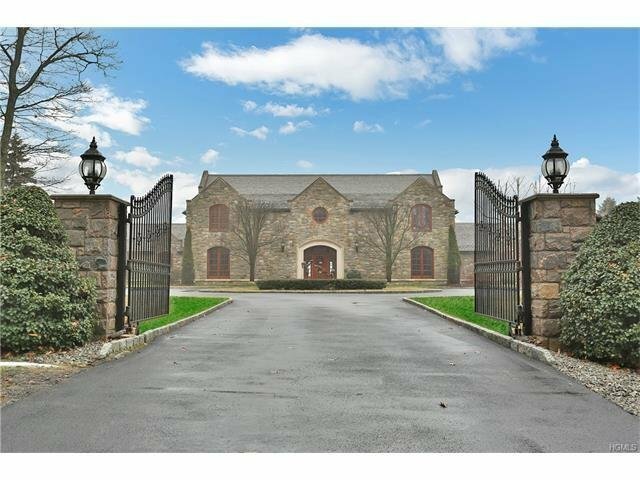 stone mansion affords the ultimate in private luxury living and is the absolute best value along the river and Hudson Highlands. Custom built in 1999 it features a slate roof and old world construction coupled with 21st century technologies including every possible home amenity. The fenced and gated property includes Large stone terraces an oversized in ground heated pool and verdant lawns. Located in charming historic Cold Spring N.Y. only 75 minutes from Manhattan by car or train or land your helicopter on the south lawn. Imagine the fantastic sunsets Fall foliage 4th July fireworks from almost every room. With over 60 acres zoned Office/Commercial the property is suitable for development institutional use horse farm or vineyard. MORE PHOTOS CLICK ON VIRTUAL TOUR TAB AT TOP LEFT.